Who wants to be holiday shopping when they could be haiku-ing? Join Frequency for a studio on Saturday, December 15th from 11 am – 5pm. Often misrepresented or only partially understood, the heart of Haiku contains many lessons for poets in its compacted form: image, metaphor, enjambment, attention, word choice, and silence. This intensive will survey the history and core principles while reading ancient and contemporary examples. Multiple haiku will be written and work-shopped throughout the intensive. By the end of the day you will be equipped to incorporate the powerful discipline of haiku into your life, using it to hone your poetic practice and increase your daily awareness. Bring lunch, and clothes suitable for going outside in. 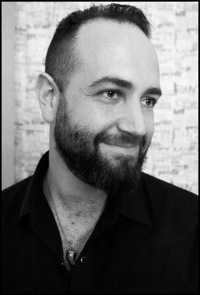 Janaka Stucky is the Publisher of Black Ocean, which has produced a number of best-selling contemporary poetry books as well as the annual poetry journal, Handsome. He is the author of Your Name Is The Only Freedom and The World Will Deny It For You. His poems have appeared in such journals as Denver Quarterly, Fence and North American Review, and his articles have been published by The Huffington Post and The Poetry Foundation. He is a two-time National Haiku Champion and in 2010 he was voted “Boston’s Best Poet” in the Boston Phoenix.